Millsaps College, a small liberal arts school affiliated with the United Methodist Church, was ranked No. 80 in Best Value Schools and No. 87 in National Liberal Arts Colleges in the 2018 college rankings published by U.S. News. Nearly two-thirds of undergraduates receive some need-based financial aid. All entering freshmen are eligible for academic scholarships based on their high school GPA and ACT/SATs, with the highest-scoring students getting grants of $33,000 annually. Legacy students get a $1,000 scholarship, and students with links to the United Methodist Church are eligible for several grants. Millsaps also participates in the Federal Work Study Community Service Program, where students work for community organizations in return for a stipend. Mississippi State University is a land-grant university, and is the largest university in the state of Mississippi. Financial aid is awarded to 93% of full-time beginning undergraduates at Mississippi State, and institutional grants or scholarships are provided to 66% of these students. The average institutional gift award provided to full-time, first-year students is $6,984. Incoming freshmen can apply for academic scholarships, which range from $1,000 to $7,500 per year for Mississippi residents and $1,000 to $18,000 per year for non-residents. Incoming freshmen and community college students from low-income Mississippi families are eligible for a Mississippi State Promise award, which is designed to fill the gap between a student's financial aid package and the cost of attendance. From its first class of 80 students in 1848, the University of Mississippi has grown to 21,500 students from over 70 countries, pursuing more than 100 programs of study. The following are University Foundation Scholarships which are open to freshmen with exceptional academic and leadership background: Penelope W. and E. Roe Stamps IV Leadership Scholarship (covers cost of attendance plus a $12,000 educational stipend); W.R. Newman Scholarship, Robert M. Carrier Scholarship and the Sally Vick Hill Scholarship, each of which awards beneficiaries $10,000 per year for four-years. Both the Ole Miss Women's Council ($8,000 per year) and the Ole Miss First Scholarship Award ($4,500 per year) consider financial need as well as academic performance in determining its recipients. The search for a cheaper degree in Mississippi begins with state schools and community colleges. The University of Mississippi (UM) and Mississippi State University (MSU) are good bets, and you always have the option to transfer credits. State financial aid is primarily focused on low-income students (e.g. HELP) and high-achievers (e.g. MESG), so it pays to file a FAFSA for federal aid. You may also want to ask around about employer-led loan forgiveness/repayment programs, since the state no longer funds many of these initiatives. Mississippi offers students a transferable core curriculum, articulation agreement, and a statewide guaranteed transfer of associate’s degrees. Additionally, students can use a statewide articulation and transfer tool to plan and research how transfer credits may be applied. Students in Mississippi can transfer core curriculum courses from community colleges to bachelor’s degree programs, or between four year institutions. This core curriculum covers the general education requirements for bachelor’s degree requirements. However, some institutions may have general education requirements that exceed the minimum core curriculum, and students will be required to take additional courses to satisfy the requirements. Additionally, an articulation agreement between the Mississippi Institutions of Higher Learning and the Mississippi Community Colleges board allows for a 60 hour program transfer agreement that goes between community colleges and the university system. Students with an associate’s degree can take advantage of statewide guaranteed transfer. However, if requirements at the receiving institution exceed the minimum core curriculum, the transfer student may be required to take additional courses to satisfy the requirements. Transfer students in Mississippi are encouraged to use the Mississippi Articulation & Transfer Tool (MATT). This tool offers up to date degree pathway information and transfer agreements in a searchable database. Students can use the tool to research equivalent courses and degree requirements for specific majors. Mississippi Institutions of Higher Learning (IHL) is responsible for administering state aid to students, and it runs a user-friendly website called RiseUp! Mississippi. This has step-by-step instructions on how to apply for college, a similar guide to applying for financial aid, detailed information on state financial aid and the application process, an entire section (with videos) on career planning and even advice for parents and middle school students. RiseUp! has some great interactive tools. If you’re new to the website, you can register and follow the Road Map to the College. This takes you through choosing a career, choosing a major, comparing schools and finding financial aid. For an insider’s take on college life, try College Discovered. This features videos and real-life stories from Mississippi students. Remember, too, that you may need to fill out a Mississippi Office of Financial Aid Application to be eligible for some state grants & scholarships. What’s more, to maintain eligibility for state aid, undergraduate students must complete 15 credit hours per semester for programs that require full-time enrollment. Thinking about a career in energy or manufacturing? Check out Get on the Grid. Here you’ll find detailed career advice, a database of training programs at local universities and background on the Mississippi Scholars and Mississippi Scholars Tech Master Programs. Summary: HELP is a generous, need-based grant that provides tuition assistance for undergraduate study to low-income students. Students must demonstrate financial need on their FAFSA and achieve certain educational targets in high school to be eligible. The grant covers full tuition & fees at a Mississippi public institution for a maximum of four years. Students attending an approved private institution in the state can receive an amount that is equal the award of a student attending the nearest comparable public university. The HELP webpage has answers to FAQs and more info on eligibility, renewal procedures, exclusions and rules & regulations. How to Apply: File your FAFSA and complete the Mississippi Office of Financial Aid Application. You’ll be required to submit a variety of supporting documents during the application process. Summary: MESG provides tuition assistance to high-achieving Mississippi residents pursuing undergraduate studies at eligible public & non-profit colleges and universities in the state. The maximum award amount is $2,500 per year for a maximum of 8 semesters or degree completion, whichever comes first. Grants cannot exceed annual tuition & fees. The MESG webpage has answers to FAQs and more info on eligibility, renewal procedures, exclusions and rules & regulations. How to Apply: Complete the Mississippi Office of Financial Aid Application. You’ll be required to submit a variety of supporting documents during the application process. Summary: MTAG is a need-based and merit-based grant. It provides financial aid to low-income Mississippi residents pursuing undergraduate studies at state-approved public and nonprofit colleges and universities. The maximum annual award is $500 per year for freshmen and sophomores, and $1,000 per year for juniors and seniors. The MTAG webpage has answers to FAQs and more info on eligibility, renewal procedures, exclusions and rules & regulations. The maximum annual award is $2,500 for freshmen, $3,000 for sophomores, $3,500 for juniors and $4,000 for seniors. Award amounts may be reduced depending on other gift aid (e.g. Pell Grant). The GEAR UP scholarship webpage has answers to FAQs and more info on eligibility, renewal procedures, exclusions and rules & regulations. Summary: The LAW scholarship (a.k.a MLEOF) is given to dependent children and spouses of any Mississippi law enforcement officer, full-time fire fighter or volunteer fire fighter who has suffered fatal injuries or wounds or become permanently and totally disabled as a result of performing official and appointed duties. The scholarship covers tuition & fees and room & board (i.e. 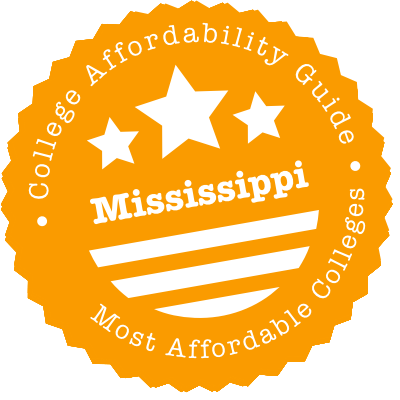 the average cost of campus housing) at any state-supported college or university in Mississippi for a maximum of 8 semesters or until the scholarship recipient turns 23. The scholarship webpage has answers to FAQs and more info on eligibility, renewal procedures, exclusions and rules & regulations. Summary: This program is open to students who wish to train as optometrists in an approved, out-of-state School of Optometry and who agree to practice full-time in Mississippi when they finish their degree. Award amounts vary, but funding is provided for a maximum of four years, or for the normal time required to complete the degree. Once students have graduated, they must complete one year of service for every year that they received funding. The SREB Optometry webpage has answers to FAQs and more info about eligibility, renewals, service obligations and important dates. Summary: Active military personnel and their dependents who are stationed in Mississippi are classified as state residents for the purposes of payment of tuition at state colleges and universities. This benefit ends as soon as the service member is reassigned for duty elsewhere in the continental U.S. Eligibility: You must submit a current Certification of Residence from your military organization to the registrar of the University each semester. How to Apply: Contact the Financial Aid Office at your choice of Mississippi school for more information. Summary: Non-resident veterans are eligible for in-state tuition while attending Mississippi institutes of higher education. Summary: This program is open to active military members of the Mississippi National Guard who are enrolled in an undergraduate program at an accredited institution of higher learning, vocational education school or junior college in Mississippi. Grants help pay for tuition and (possibly) room & board expenses. To be eligible for a room & board grant, an individual must also be in an officer producing program and be selected to receive the grant by the Adjutant General. How to Apply: Contact your National Guard unit or the Financial Aid Office at your choice of Mississippi school for more information. Summary: SEAP helps pay for tuition at state-supported colleges for National Guard members who are not receiving Federal Tuition Assistance (FTA). This aid is only for associate’s or bachelor’s degree programs. SEAP covers tuition for up to $250 per semester hour with a maximum of $4,500 per year. Summary: This scholarship is available to dependents of any Mississippi member of the Armed Services who has been officially reported as Missing in Action (MIA) or a Prisoner of War (POW). The scholarship covers tuition & fees and housing at any state-supported college or university within Mississippi for a maximum of 8 semesters or until student reaches the age of 23. It does not cover books, food, school supplies, materials and dues or fees for extracurricular activities. The Mississippi Veterans Affairs Board (MVAB) can also provide advice and assistance with both state and federal education benefits. Summary: This program guarantees to cover the tuition of certain county residents who attend a participating community college for four consecutive, regular semesters. The RiseUp! webpage has a list of participating counties and their requirements. Federal aid, state aid and other scholarship funds are applied to your tuition first. If this aid isn’t enough, the program will handle the rest of your tuition costs at the community college. How to Apply: File your FAFSA, apply for the MTAG (see our section on grants above) through the Mississippi Office of Financial Aid Application and apply for any institutional scholarships available at the community college. You should also ask the Financial Aid Office for a Tuition Guarantee Program Application. Summary: MPMGI provides public administration graduate students with the opportunity to work for a semester at a state or local agency in Mississippi. The maximum monthly stipend is $1,000 per month plus 1% fringe benefits (not to exceed eight months). The Mississippi Office of Student Financial Aid makes awards on a first-come, first-served basis. The MPMGI webpage has answers to FAQs and more info on eligibility requirements, awarding priorities and rules & regulations. How to Apply: Complete the Mississippi Office of Financial Aid Application. You’ll be required to submit a variety of supporting documents during the application process. You should also contact the Graduate Coordinator in the Political Science Department at your institution— all arrangements to participate in the program are handled through your school. Going to college can be hard on family finances. We talk about various ways to save money in the sections below, but we realize this kind of budgeting may not be enough. If you need help with bills and basic services, there are a variety of places to try. The state is the obvious choice, though the red tape is often impressive. The Mississippi Department of Human Services (MDHS) runs programs like SNAP (food stamps), home energy assistance, Temporary Assistance for Needy Families (TANF) and child care assistance. Not eligible for state benefits? Another option is to call 2-1-1 or visit the 211 Mississippi website. Managed by United Way, 211 is a free resource that connects residents with social services and community organizations. Looking for affordable child care? Need low-cost mental health counseling? Trying to find cheap housing or transportation? 211 counselors can refer you to the right place. You can also search the 2-1-1 Mississippi Community Resource Directory or contact your local Community Action Agency for advice and assistance. Living in a dorm has its financial upsides. Utilities are usually included, rooms are furnished, buildings are up-to-code and you don’t need to pay for commuting costs. However, even if you opt for the lowest price meal plan and share with multiple roommates, you’ll probably find that campus housing is a huge expense. To find out how much you’re going to have to pay every year, check the housing rates on your university’s website. You can then use budget calculators on sites like MappingyYourFuture.org and CalcXML.com to compare on-campus costs (meal plans, dorm fees, etc.) with off-campus bills (groceries, utilities, etc.). Remember, too, that your school may have a housing requirement. For instance, with some exceptions, freshman students who don’t live close to UM are required to live on campus for two consecutive semesters. In private colleges and rural schools where university housing is the norm, some low-income students save money by becoming Resident Assistants (RAs). Please don’t be afraid to ask for assistance. Your high school counselor, the Financial Aid Office and/or the residential life coordinator at your college will have details on “hidden” work-study programs and housing scholarships that can help you avoid student loans. For example, MSU’s Presidential Scholarship covers housing for all four years. Students who are in the Mississippi National Guard officer producing program (see our section on Military Assistance) are eligible to receive a room & board grant. Living off campus is the norm for students at commuter/community colleges and a number of state schools, especially at MSU and UM. That means you may be paying for security deposits, electric bills, renter’s insurance and commuting costs. To save money in these situations, you could look at sharing with multiple roommates, finding places that rent by the room and/or searching for apartments with longer commute times. Alternatively, you could consider living at home and going to a community college for two years before you transfer to a university out of town. Once you’ve made the decision to rent, check out the housing section on your university’s website. Most schools offer great advice, assistance to homeless students and links to affordable listings. Both UM and MSU have teamed up with Off Campus Partners to offer off campus housing services (start your search early since good places near these schools go fast). JSU has a long list of tips, checklists and sample pricing. To get the cheapest deals, you can also try Craigslist, campus-focused rental sites (e.g. CampusRent.com, MyApartmentMap.com, OffCampus.com, etc. ), messageboards and word of mouth. If you’re homeless or experiencing a housing crisis, HUD.gov has advice on places to get rental help and a list of Shelters and Emergency Housing in Mississippi. The Mississippi Homeless Shelters directory on HomelessShelterDirectory.org is a similar resource. Before you sign any lease or rental agreement, find out which utilities your landlord will pay for and which ones you have to cover (e.g. electricity, cable, etc.). Air conditioning bills can add up! You can budget for these costs by asking your prospective landlord or the individual utility company for a monthly estimate of payments. Or you can chat to former renters for inside advice. Need help with existing utility bills? Even if you’re ineligible for the state’s Low Income Home Energy Assistance Program (LIHEAP), you may qualify for low-income programs or bill pay assistance from your utility company. Entergy, Atmos, Centerpoint Energy—all these and many more have initiatives (e.g. Project SHARE) that are designed to prevent crises. When you can’t pay your bill, visit the company’s website or call them up. Your local Salvation Army outpost will also be able to refer you to utility assistance programs. Almost every university or college has a student health center where you can find free or affordable medical services. These services typically include treatments for minor injuries, allergy shots, immunizations, STD diagnoses, contraceptive advice and so on. The bigger and more expensive the school, the fancier the services tend to be. For example, MSU’s Longest Student Health Center also offers physical therapy and x-rays. If you (and/or your family) can’t find help on campus, you can ask the student health center for a referral and/or try low-cost clinics in your area. The Mississippi Primary Health Care Association (MPHCA) has links to Community Health Centers (CHCs) that serve residents regardless of their financial or insurance status. You can compare this list to directories on NeedyMeds.org and FreeClinicDirectory.org. Need assistance with mental health issues? The Mississippi Department of Mental Health (DMH) has a list of Community Mental Health Centers (CMHC) in every regional area. You can also call the DMH Helpline at 1-877-210-8513 for advice about services and help around the clock. The Mental Health Crisis/Suicide hotline is 1-800-273-8255. Worried about your teeth? The Mississippi Dental Association (MDA) has an excellent list of places to find Reduced and Low-Cost Dental Care, including the Donated Dental Services (DDS) program, CHCs, volunteer dental clinics and orthodontic programs. The Mississippi State Department of Health has links to similar services in its Q&A on Dental Services and Dental Care. You might also see if you live near UM’s School of Dentistry or a school of dental hygiene. Because they’re training student dentists, these schools will often offer reduced rates to patients. Campus daycare centers exist at a number of state universities (e.g. MSU, JSU, DSU, MVSU), community colleges and MUW. Competition for these spots can be tough, so it pays to apply as early as you can for a space. We also recommend you ask if the school has child care discounts or scholarships for student parents. The Financial Aid Office is a good place to start. Low-income child care assistance is available from the state, though the Child Care Certificate Program may have a long waiting list. When that happens, you can search for child care subsidies and providers in the Mississippi Community Resource Directory, see if you qualify for Head Start programs or talk to someone at one of the 17 resource and referral centers run by the Early Years Network. MDHS has advice on choosing a provider and an easy way to Search for Licensed Child Care Facilities in your county. Getting rid of your car will save you a bucket of money, but we know you may be juggling multiple jobs or taking care of kids. Whatever way you finally choose to get to school—car, bike, bus or on foot—take a quick look at the transportation/transit section on your university’s website. It’s not exciting, but it’s packed with useful info. Here you’ll find links to parking discounts, rideshares, carpools, free campus shuttles, bike programs and a whole lot more. For instance, university students and staff ride free on the O.U.T. with a valid Ole Miss ID. MSU’s Smart Buses provide free transport around campus and to the City of Starkville. To get to other places, MSU students also take advantage of Zipcars and the university’s free bike rentals. Don’t forget, too, that your university ID may qualify you for discounts with local, regional and national transport providers. Amtrak and Greyhound are just two examples of companies that knock the prices off tickets for college students. Please don’t go hungry in order to pay for college! A few Mississippi schools—including UM and Rust College—have campus food banks, but you have other options. Talk to the Financial Aid Office about ways you could reduce your meal plan costs. Ask if there are programs that offer leftover food from dining services or organizations that sponsor free food giveaways. See if there are jobs on campus that include meals. You can also try off campus resources. If you’re not eligible for SNAP (food stamps), The Emergency Food Assistance Program (TEFAP) or the WIC program for new moms and moms-to-be, try your local food bank. Feeding America has a way to search for Mississippi food banks in your zip code and the Mississippi Food Network (MFN) has details about programs for kids and families. You can call MFN at 601-353-7286 for help. Home to JSU, Belhaven University and Milsaps College, Jackson is a city of high utility costs and affordable housing (and high crime rates). Students tend to call it a laid-back town, with fairly easy traffic, lots of affordable dining options and cool stuff happening in the Fondren district. However, the Jatran service (public transport) gets mixed reviews and the city tends to shut down fairly early. If you want to get an apartment that’s away from campus areas like Belhaven, you may need a car. Jackson has plenty of organizations that can make college dreams come true for residents. We’ve listed a few examples, but this is just a sample of what’s out there. Ask your high school counselor or a career center for more suggestions. The Community Foundation of Greater Jackson (CFGJ) distributes a variety of college scholarships to Jackson residents. Check the website for details on how to apply. Get2College has a Metro Jackson Center on Lakeland Terrace. This organization offers free assistance with preparing for postsecondary studies—whether it’s a college degree, certificate or training. Their services include ACT tutoring, counseling, financial aid advice, career exploration, FAFSA days, summer college prep bootcamps and a whole lot more. Check out their list of local college scholarships. Milsaps College has a Community Enrichment Series that includes a free ACT Test Prep course. However, it’s not a review of subject matter. It’s focused on test-taking strategies, time management tips and ways to build confidence. Holmes Community College runs a similar ACT Prep Course that includes test-taking strategies and an overview of major subject areas. Jackson YouthBuild serves out-of-school youth and foster youth (ages 16-24) who are seeking to earn their GED, gain construction skills and find a job or get to college. Do you need help with a specific challenge (e.g. food shortage, utility bills, housing crisis, etc.)? Try calling 2-1-1 (United Way’s free referral service) or searching the 2-1-1 Mississippi Community Resource Directory. The City of Jackson also has general info on resident services. The overall cost of living in Gulfport is higher than Jackson, thanks mostly to higher housing costs. Hurricane Katrina hit the area hard, and some residents complain that the city hasn’t recovered. Summers can be brutal and the general climate—like everywhere in the state—is hot & humid, so it pays to consider air conditioning costs if you’re planning on renting near MGCCC’s Jefferson Davis Campus. If you already live in Gulfport, there are organizations who are ready and able to get you to college. We’ve listed a few, but there are more out there! Ask your high school counselor or a career center for suggestions. The Mississippi Gulf Coast Community Foundation (MGCCF) awards a number of college scholarships to local students across the Mississippi Gulf Coast. Check the website for details on how to apply. Run by the U.S. Department of Labor, Gulfport Jobs Corps Center is a free education and career technical training program that helps youth (ages 16-24) attain a GED/high school diploma and find a skilled job (e.g. nursing, construction, advanced manufacturing, etc.). Graduates receive a transition allowance, job placement assistance and career counseling. Gulf Coast Community Action Agency (GCCAA) has a free Winning Youth Program for participants ages 16-24 who are interested in the GED, career guidance and job training. Additional help is available for transportation, child care services and work-related tools. The Gulfport WIN Job Center provides GED classes, job placement assistance, job and skill training and career counseling. Do you need help with a specific challenge (e.g. food shortage, utility bills, housing crisis, etc.)? Try calling 2-1-1 (United Way’s free referral service) or searching the 2-1-1 Mississippi Community Resource Directory. The City of Gulfport also has general info on resident services. Like Gulfport, Southaven has higher housing costs than Jackson. In other areas (e.g. utilities, transportation, groceries, etc.) costs are reasonably affordable for students at UM DeSoto and the NMCC DeSoto Center. It’s known as a safe and sleepy town, but it’s just over the border with Memphis and all that the big city has to offer. A lot of commuters live there and drive to Tennessee jobs. Do you already live in DeSoto County? There are tons of organizations focused on getting residents into college. We’ve listed a few. Ask your high school counselor or a career center for more suggestions. The Community Foundation of Northwest Mississippi (CFNM) has a number of college scholarships that are open to DeSoto County residents. Check the website for details on how to apply. Get2College has a North Mississippi Center in Southaven. This organization offers free assistance with preparing for postsecondary studies—whether it’s a college degree, certificate or training. Their services include ACT tutoring, counseling, financial aid advice, career exploration, FAFSA days, summer college prep bootcamps and a whole lot more. Check out their list of local college scholarships. DeSoto County runs an annual DeSoto County College Fair, which is often held at Southaven High School. A large number of local colleges and universities are in attendance. The DeSoto Literacy Council runs free basic adult literacy and GED preparation classes. Scholarships to pay the test fee are available for students who enroll in the GED class. Do you need help with a specific challenge (e.g. food shortage, utility bills, housing crisis, etc.)? Try calling 2-1-1 (United Way’s free referral service) or searching the 2-1-1 Mississippi Community Resource Directory. The City of Southaven also has general info on resident services.